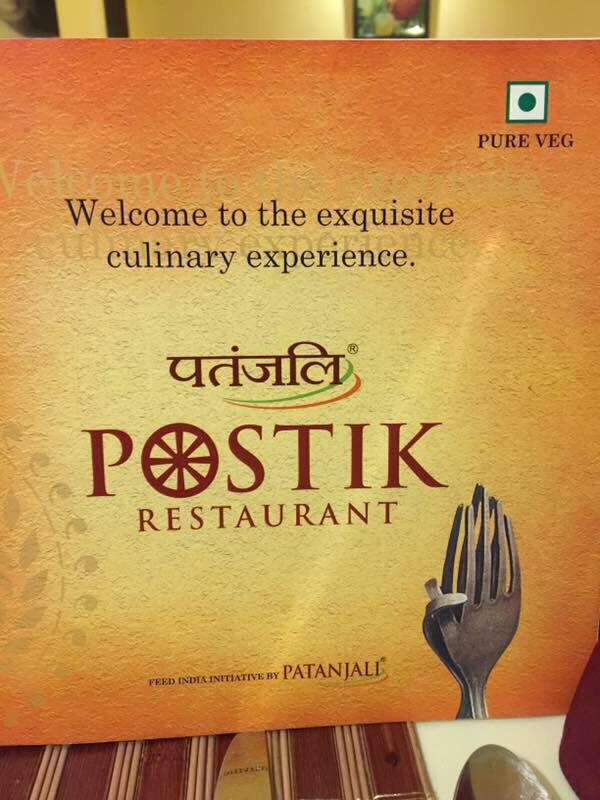 Patanjali enters in to Restaurant business in Chandigarh and it is name as Postik Restaurant which is in Hotel Indiano located at Kalghider Encalve, Baltana, Zirakpur. Restaurant business for Patanjali might be an awkward decision but the owner doesn’t thinks so. “Good health is not a blessing, it is something that we work towards everyday through ourdiet. Satvik principles of food, along with best methods to prepare each dish to ensure maximum preservation of nutrition and enhancement of taste, makes the basis of poshtik. When you eat here, youget much more than just food to fill your belly.” says Acharya Balkrishna. They want to serve poshtik foods to the public. “Patanjali is India’s ambassador to the world, showcasing the student but still relevant heritage of Ayurveda. At Poshtik, we are emulating all principles of nutritious eating drawn from our vedas and putting them to best use. Ahealthy nation is our biggest strenth and we are working for a brighter tomorrow”, says Baba Ramdev. However, Till now not many people visited over the place for having the poshtik aahar in Chandigarh but it is said that Patanjali is also planning to have the Restaurant in the other parts of India. Why Good Employees Leave the Organisation? Will Managers & Employers Note?